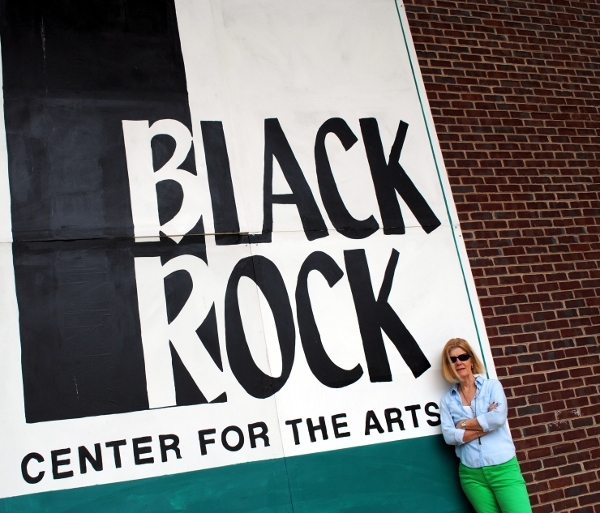 In May and June 2014 I was teamed up with fellow artist Susan Makara for “Vivid” a two-artist exhibit at BlackRock Center for the Arts in Germantown, MD. What a fabulous building with tall walls, space to breathe, and high windows. It really showed off the artwork to full advantage. 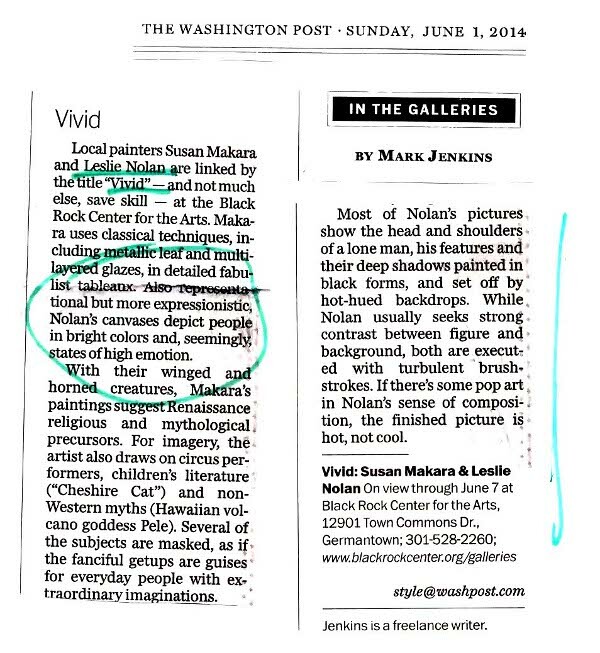 Our show a fine review by Washington Post art critic Mark Jenkins. 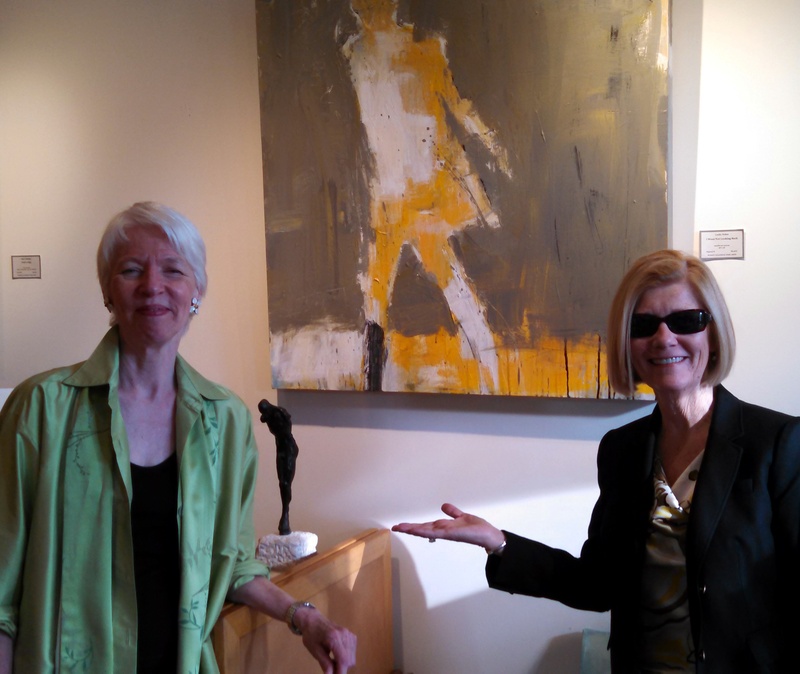 Thanks to Gallery Director Anne Burton and Executive Director Krista Bradley for the opportunity and for their support. 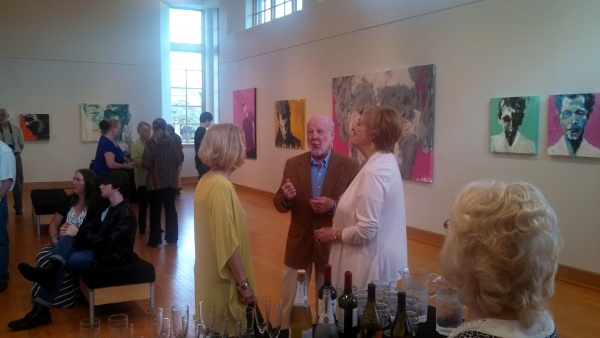 In addition, my appreciation to the members of the Germantown Art League for hanging and staffing the opening reception. 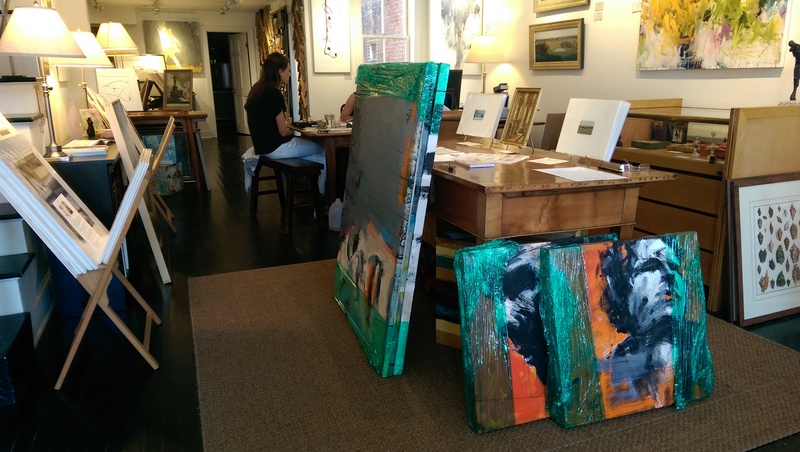 Last night at Susan Calloway Fine Arts in Georgetown, Washington, DC, I attended the first opening at this lovely gallery since my joining earlier this month. Fabulous evening, well-attended with interesting visitors/clients. Lots of sold artwork with red dots everywhere! After the reception walked a block up Wisconsin Ave for dinner at Bistro Lepic. 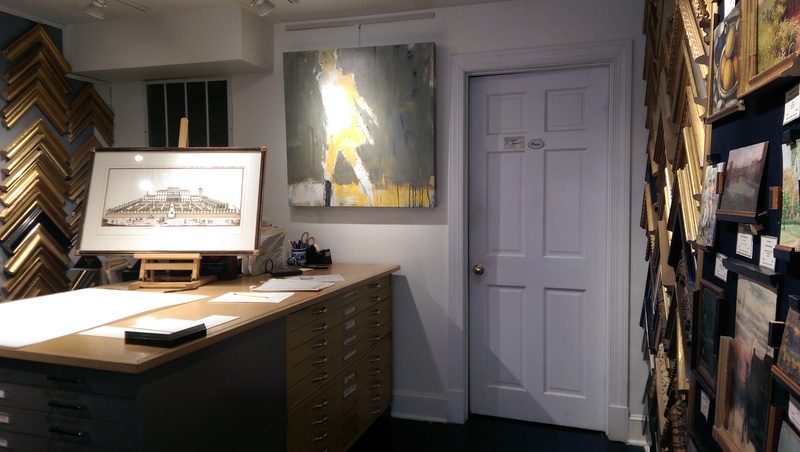 Stop by and see the show when you’re in this fabulous area, an enclave of nine galleries on Book Hill. 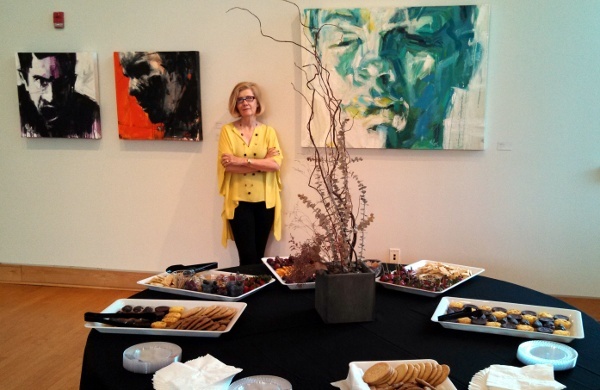 Earlier this year my solo exhibit at Touchstone Gallery in Washington, DC took place. Talented photographer Aileen Beringer, a recent graduate from the Corcoran School of Art and Director’s Assistant at Touchstone, not only shot, but also directed and edited this video. The exhibit’s showstopper was the diptych Pulled By What Would Be. Fully 8 feet wide by 5 feet high this artwork makes a tremendous impact from across the room. Aileen was a huge help hanging this exhibit which was complicated by the variety of sizes. In contrast to the huge Pulled… the exhibit also featured several tiny 6″ x 6″ pieces, along with many medium sizes. Happy to announce that I will be one of three artists representing Touchstone Gallery alongside artist Ai-Wen Wu Kratz and photographer Pete McCutchen at the (e)merge art fair, October 2-5, 2014 at the Capitol Skyline Hotel. The (e)merge Vetting Committee included some high-powered art players: international artist Ai Weiwei, Hirshhorn Museum and Sculpture Garden assistant curator Mika Yoshitake, and director of the Rebuild Foundation Jeffreen M. Hayes. The fair’s sponsors and partners include a who’s who of the Washington, DC art scene, museums, collectors, philanthropists and business leaders. 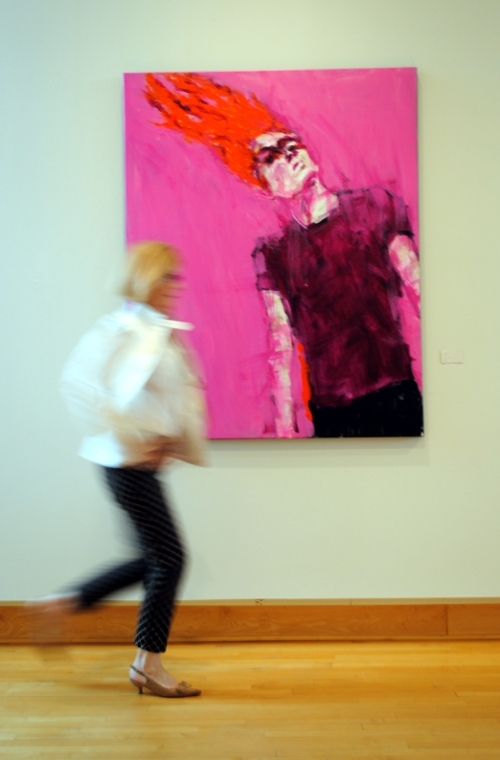 The focus of the fair is on cutting-edge, emerging art, so nothing is tame. 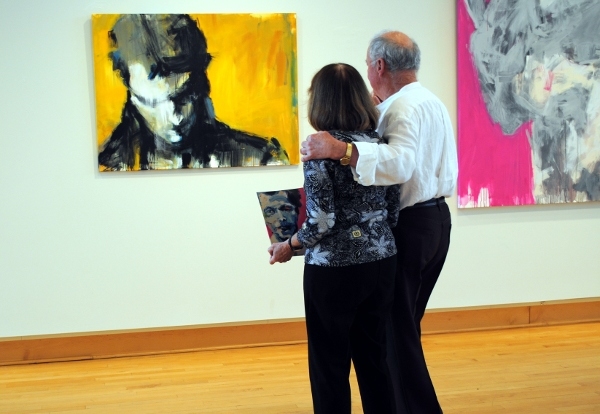 It’s an exciting opportunity to connect with a new generation of art consumers and to display the kind of artwork that takes risks. 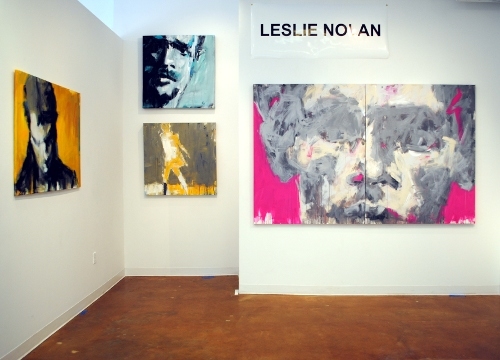 In addition to some prestigious local galleries, the fair also attracts international galleries and features organizations from around the nation. More on this as we get closer to October. 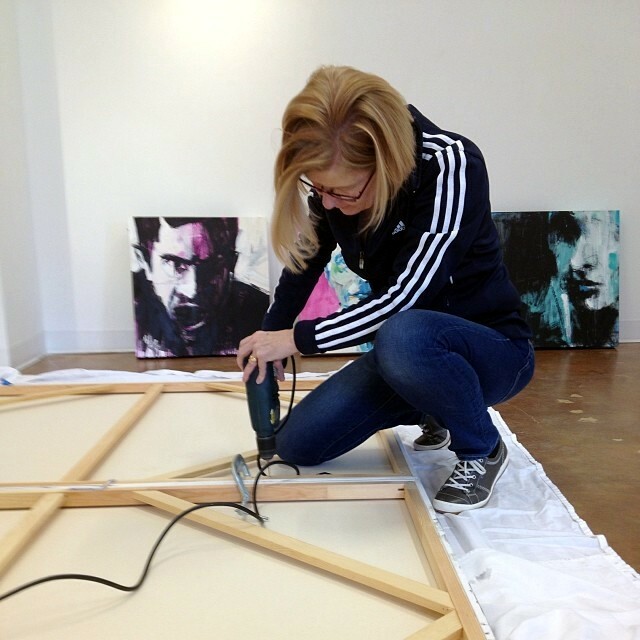 Today I’m painting for the show, which will be my next featured exhibition. Only 54 days left to finish up several works in progress. Should be a blast! 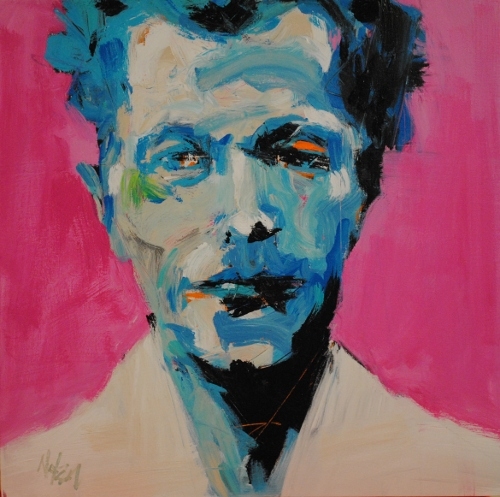 This piece is in the July show, curated by show juror and prize juror Ginger Hammer, Assistant Curator, National Gallery of Art who gave it Honorable Mention. So lovely to meet Ms Hammer at the opening reception where she personally bestowed awards and talked about the show.